Iyko Day is associate professor of English and critical social thought at Mount Holyoke College and co-chair of the Five College Asian/Pacific/American Studies Program. Her research focuses on Asian North American literature and visual culture; settler colonialism and racial capitalism; Marxian theory and queer of color critique. She is the author of Alien Capital: Asian Racialization and the Logic of Settler Colonial Capitalism (Duke University Press, 2016) and she co-edits the book series Critical Race, Indigeneity, and Relationality for Temple University Press. Andrew Way Leong is assistant professor of English at the University of California, Berkeley. He is the translator of Lament in the Night (Kaya Press, 2012), a collection of two novels by Nagahara Shōson, an author who wrote for a Japanese reading public in Los Angeles during the 1920s. Leong is currently completing a manuscript entitled The Origins of Japanese American Literature Are Queer and Mixed. The book examines Japanese and English texts written by authors who resided in the United States between the opening of mass Japanese emigration in 1885 and its closure following the Immigration Act of 1924. Karen Umemoto is the Helen and Morgan Chu Endowed Director’s Chair of the Asian American Studies Center at UCLA, with a joint appointment in the Departments of Urban Planning and Asian American Studies. Her books The Truce: Lessons from an L.A. Gang War (Cornell University Press, 2006) and Jacked Up and Unjust: Pacific Islander Teens Confronting Violent Legacies (University of California Press, 2016) examine the social dynamics and public policies at the nexus of race, violence, and social control. Her current research focuses on the history of redevelopment and community development in Little Tokyo, Los Angeles. Karen Tei Yamashita is the author of Through the Arc of the Rain Forest, Brazil-Maru, Tropic of Orange, Circle K Cycles, I Hotel, Anime Wong: Fictions of Performance, and Letters to Memory, all published by Coffee House Press. I Hotel was selected as a finalist for the National Book Award and awarded the California Book Award, the American Book Award, the Asian/Pacific American Librarians Association Award, and the Association for Asian American Studies Book Award. She received a U.S. Artists Ford Foundation Fellowship and is professor of literature and creative writing at the University of California, Santa Cruz. Julian Saporiti and Erin Aoyama. No-No Boy is a multimedia concert performed by Julian Saporiti and Erin Aoyama. Taking inspiration from interviews with World War II Japanese incarceration camp survivors, his own family’s history living through the Vietnam War, and many other stories of Asian American experience, Saporiti has transformed his doctoral research at Brown University into folk songs in an effort to bring these stories to a broader audience. Alongside Aoyama, a fellow Ph.D. student whose family was incarcerated at one of the ten Japanese American concentration camps, No-No Boy aims to shine a light on experiences that have remained largely hidden in the American consciousness. Julian Saporiti fronted the Berklee-trained indie-rock group The Young Republic from 2004-10. After releasing several well received albums and touring extensively around North America and Europe, Saporiti relocated to Laramie, Wyoming to pursue an M.A. in American Studies. While there, he made several trips to the remains of the Heart Mountain concentration camp in northwest Wyoming where, during World War II, the U.S. government unconstitutionally incarcerated over 10,000 people of Japanese descent, most of whom were American citizens. These trips inspired Saporiti to begin interviewing camp survivors and researching the music performed in the camps. From these interviews, and from thinking about his own displaced family of Vietnamese refugees, he began work on No-No Boy. Saporiti is currently based in Providence, Rhode Island, continuing this research, composing and recording music, and pursuing a Ph.D. at Brown University. He also directs the Brown Arts Initiative Songwriters Workshop and teaches an undergraduate course expanding the work of No-No Boy. Erin Aoyama is currently pursuing a Ph.D. in the American studies department at Brown University. Her research examines the interplay between Japanese American incarceration and the experiences of African Americans in the Jim Crow South, focusing on the two concentration camps in Arkansas and the segregated American military. Aoyama’s work with No-No Boy is deeply personal. She is a legacy of Heart Mountain camp in Wyoming, where her grandmother was incarcerated during World War II, and her involvement with No-No Boy has been a way to connect with her family’s history through art and storytelling. Symposium organizer and moderator Paul Nadal is a postdoctoral research associate in the Princeton University Program in American Studies. In the summer of 2019 he will join the faculty as an assistant professor in English and American studies. 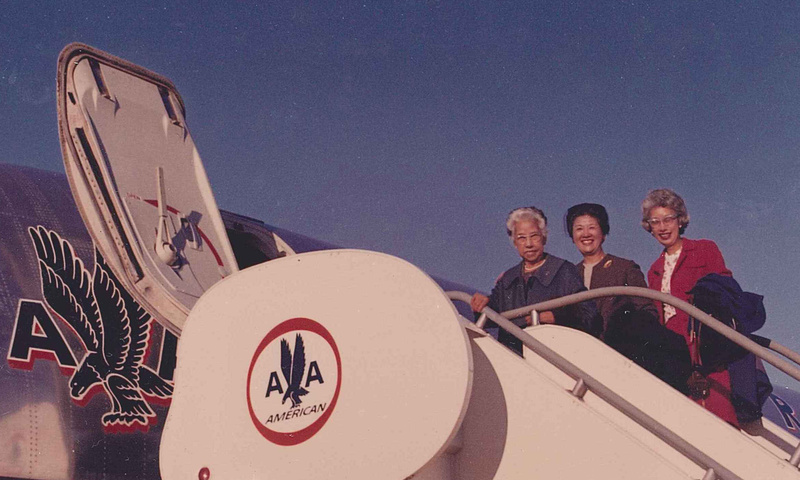 Supported by the Sakioka Family Fund and the Jacquelyne Hata Alexander ’84 P14 Fund for Japanese American Studies. Cosponsored by the Department of East Asian Studies, the Department of English, the Department of Music, the LGBT Center, the Lewis Center for the Arts, the Program in Gender and Sexuality Studies, and the Program in Urban Studies. With thanks to the Humanities Council. Organized by the Program in American Studies. Yamashita Family Archives, accessed December 14, 2018.